I used brushes from www.8nero.net. You've really got a touch for spicing up a character. Pretty nice touches. But hey, what can I expect from an artist such as yourself. Pero sa totoo lang, hindi ko kilala yan taong yan. Gundam Wing supporter ako!!! Todoh!!! This wall is beautiful! The bg really compliments ^_^ I love it! Thank you for sharing it, and keep up the great work! the snow makes shinn stand out soo good!! ><......i love shinn's eyes !!! good wallpaper!!! I really like this. Shinn looks so serious and mature which really makes me like this wallie even it's Shinn. (not a big fan of his). It's simple but very nicely done. I love the fence-like effects and the bg is great. XD Love blue~ This is really well done! Amazing! 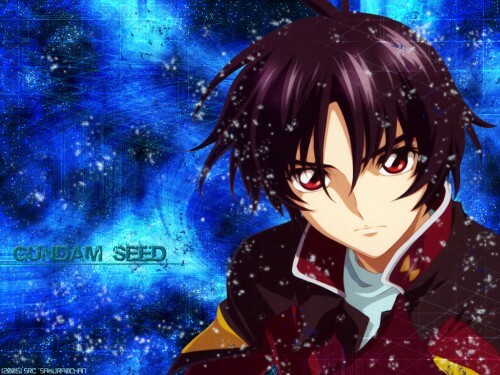 although i don't really like Shinn i will download it XD he looks so nice here! nice bg!! ..heya!! sorry i'm late *tch! * :sweat: ..the color is nice but may be a bit 2 contrast (maybe)!! Is that Shinn?? Oh yes, what can we do at www.8nero.net?? Nice wallpaper... Shinn looks so handsome..
Wow! Great job!!! Shinn looks very handsome in this scan and the effects and the bg are amazing good! Keep it up! Love what you did with the bg...shin's scan isn't bad either. That's a really pretty wallpaper. Shinn looks great here and you've also added in some wonderful effects!